Dance your way through the holiday season with this clever and dapper Santa MP3 Connect. 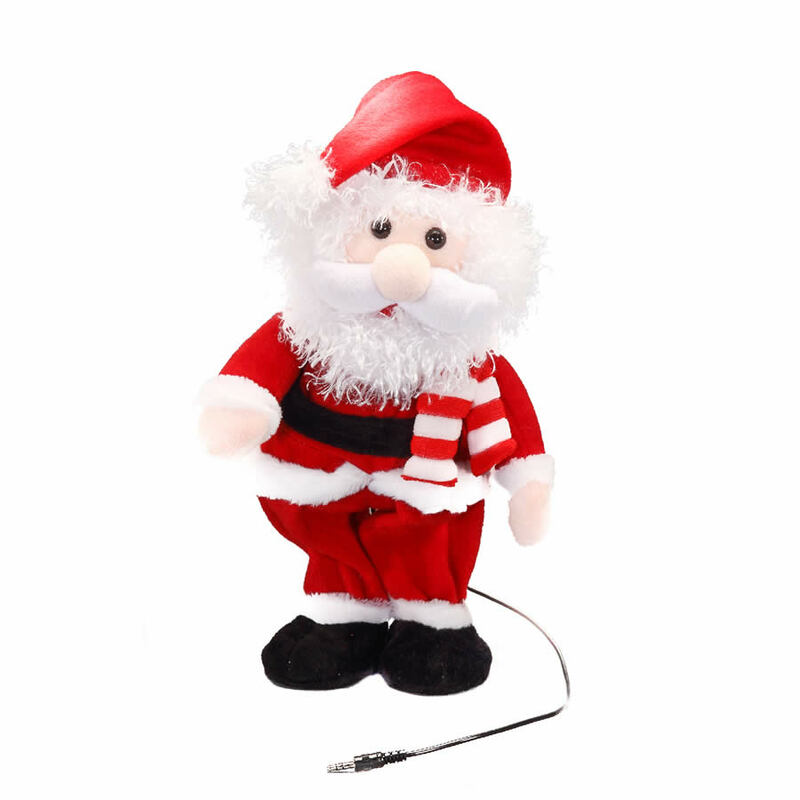 This plush little Santa stands ready to dance as soon as you hook him up to your audio jack or MP3 player. He measures around 16cm by 31cm, and if you think he is cute now, wait until you plug him in! Watch Santa wiggle and shake to the music- it is a sight to see! This funny little fellow could be the hit of your Christmas party or your family’s Christmas eve celebrations. Enjoy the look on people’s faces when they see Santa move! Consider also giving this Santa MP3 Connect to a friend or co-worker for a clever holiday gift that will bring a smile to their face this year! This is a great item to share with techies and folks who enjoy their electronics and computers, and is likely something that they do not already own.